Most the time we don't post images from that have leaked from sets because usually the quality is pretty low and it's nice to have official ones, but int his case we will make an exception because it's freaking Star Wars. 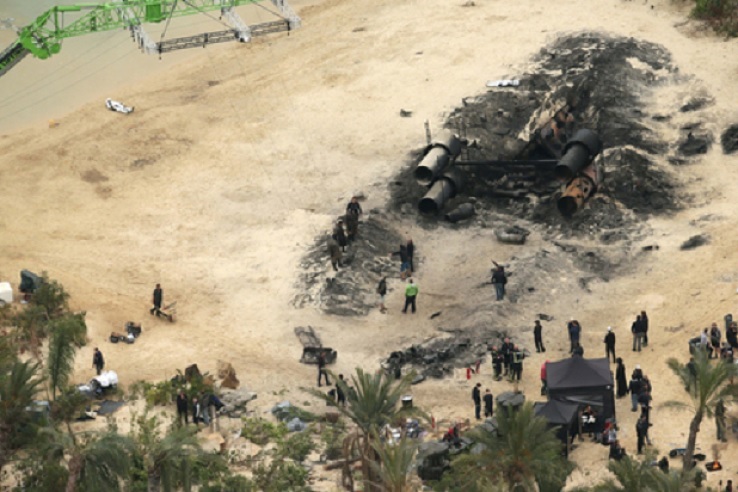 Rogue One: A Star Wars Story has just begun filming and some set photos have leaked out from the London set showing a downed starship and what looks to be several bodies of Stormtroopers lying about. Either way it's exciting to know that we are just 3 months from Star Wars: The Force Awakens and another movie is being filmed as we speak in the Star WArs universe. 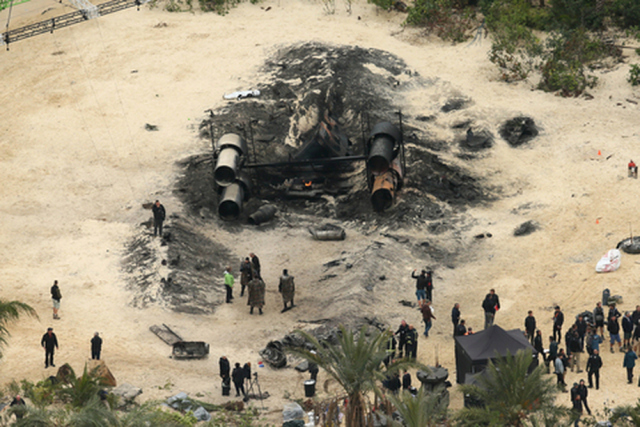 Rogue One: A Star Wars Story arrives in theaters December 2016.